With great entryway ideas every abode can make a grand statement for the decor just by having someone step through the threshold. Your first impression of a home is when walking up to it and through its front door. With great entryway ideas every abode can make a grand statement. Your first impression of a home is often made when walking up to it and through its front door. Decor entryway ideas are your perfect chance to wow visitors even before they step inside your NYC home. A new coat of paint can turn an old door into a beautiful welcome greeting. 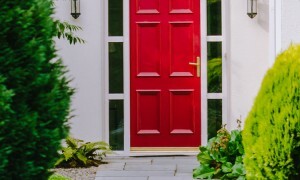 Paint your front door in a color of contrast, like a red or green. For those renting, dress up the door by accessorizing. Wreaths can be fun to create and make the perfect choice to adorn your door all year round. Easily change wreath decor for new choices to accommodate fresh seasons and moods. Choosing the right decor will have a lot to do with the type of entry you have. The entry with a large foyer is a room all of its own, giving ample space to place decor and furnishings. A small NYC apartment allows you to get creative by incorporating a welcome area to great people as they enter the abode. 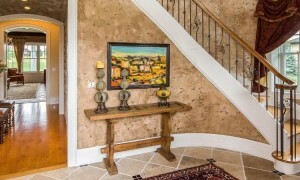 The grand foyer allows for several entryway ideas. A beautiful center floor medallion will provide an artistic touch of elegance. You can also place a round table on a lovely area rug in the center of the foyer under a beautiful ceiling light fixture to create a decor statement. In an abode with a second floor that has stairs entering the foyer, hang a beautiful chandelier drizzling down over your floor medallion or center hall table. In a cozier entry foyer, place a lovely console table against a wall with a framed mirror hung above it. This is perfect for placing keys and purses, and checking appearances upon entering or leaving. With enough wall space, you can place chairs on either side of the table. A decorative bench can be used instead to double as a place to sit and place items. 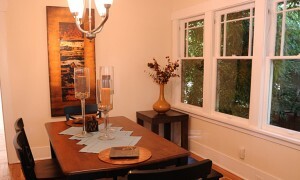 Sconces will add beauty to the walls as well as wonderful accent lighting. Have fun adding some of your own unique decor touches to the entry. Dress a wall up with a grouping of framed mirrors or a collection of antique hats. With a front door leading directly into the home’s hub, use ingenuity in creating an entry area. A decorative screen placed next to the door can create the sense of a separate entryway. Place a table or bench in front of the screen as if on a wall. No room for a screen? Then consider a standing coat rack or pedestal to set the entry apart from the room. Try to avoid having furnishings directly facing the door. Consider placing the back of a sofa perpendicular to the door with a sofa table behind it acting as an entry table as well. Place a small chest or table next to your door with a mirror hanging on the wall above to serve as a drop off for essentials and to check appearance. Entryway ideas should always make the area welcoming. Place a vase of fresh flowers on a table or chest to display, and spread a beautiful scent to welcome guests. Be ready to accept guests entering with a silver platter offering up drinks and appetizers. By the time people enter through the threshold they will be aching to see the rest of your beautiful home. Wow your guests with a beautiful entryway.